Hello and Welcome to our preview for Brisbane Heat vs Melbourne Stars match. 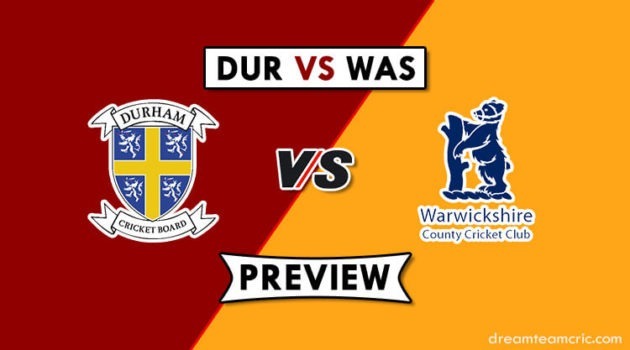 We are covering BRH vs MLS Dream11 Team Prediction, Preview and Probable Playing XI for the Big Bash League 2018-19 match. The match is to be played at The Gabba, Brisbane. Brisbane Heat is fifth on the points table with five wins and seven losses. They won their last match against Adelaide Strikers by 6 wickets. Bowling first, They restricted Strikers at 176 with Josh Lalor and Jack Prestwidge being top performer taking three and two wickets respectively. Matt Renshaw played an unbeaten knock of 90 runs and was supported by Brendon McCullum who scored 51 runs to successfully chase the target. They will be determined to put their best performance in must-win encounter tomorrow and rely on other results to qualify for the semi-final. Melbourne Stars are fourth on the points table with six wins and six losses. They lost their last match to Perth Scorchers by 27 runs. Bowling first, They failed to restrict Scorchers leading to a target of 183 runs. Jackson Bird was the only positive from the bowling department. Glenn Maxwell and Stoinis played good knocks of 61 and 49 respectively but were left behind by 27 runs. With two more matches left for Stars, They will hope to book their place in Semis by getting a victory over Brisbane Heat. Chris Lynn (c), Max Bryant, Ben Cutting, Josh Lalor, Brendon McCullum, James Peirson (wk), Mitchell Swepson, Alex Ross, M Kuhnemann, Jack Prestwidge, Matt Renshaw, M Steketee, Marnus Labuschagne. They have also announced 13-men squad for the match. Brendan Doggett ruled out from this match Marnus Labuschagne named as a replacement of him. Ben Cutting/Brendon McCullum and Max Bryant will open the innings. Chris Lynn, Alex Ross and James Peirson will follow them. Ben Cutting will play the role of an allrounder. Ben Cutting and Josh Lalor will be the key pacers while Mitch Swepson will lead the spin attack along with Matt Renshaw. They have declared 13-men squad for the match with one change. Sandeep Lamichhane replaces Liam Plunkett in the squad. Sandeep has rejoined the team and will directly come in the playing XI replacing Liam Plunkett. Glenn Maxwell, Marcus Stoinis and Dwayne Bravo will play the role of all-rounder. Jackson Bird, Dan Worrall, Marcus Stoinis and Dwayne Bravo will be the key pacers while Adam Zampa and Sandeep Lamichhane will lead the spin attack along with G Maxwell. Jackson Coleman can also get a chance in place of Dan Worrall. However, Worrall is likely to retain his place. Ben Cutting, Max Bryant, Chris Lynn (c), Brendon McCullum, Matt Renshaw, Alex Ross, James Peirson (wk), Josh Lalor, J Prestwidge, Mitchell Swepson, M Kuhnemann/M Labuschagne. Captain and Vc choices: M Stoinis, C Lynn, B Dunk, G Maxwell, B Cutting, D Bravo. 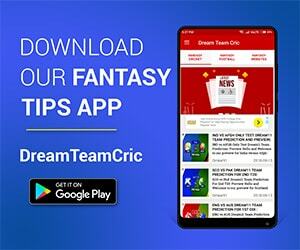 If you liked BRH vs MLS Dream11 team prediction, then follow us on Twitter for Latest Cricket News and Grand League Teams.